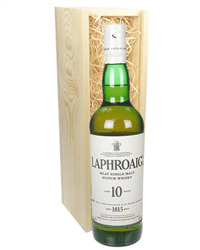 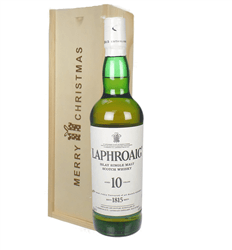 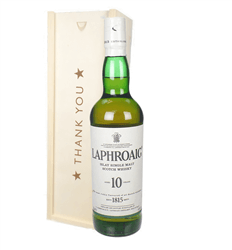 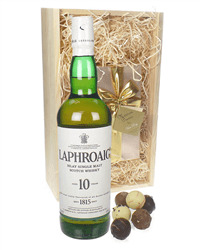 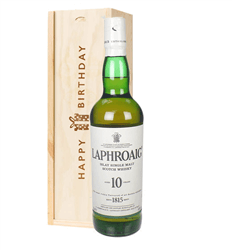 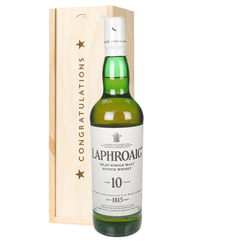 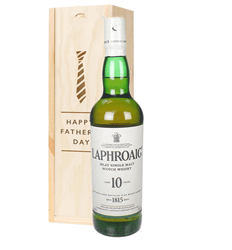 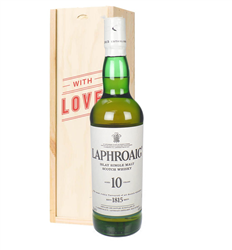 Laphroaig Islay single malt 10 year old whisky is full of the taste of the Island of Islay. 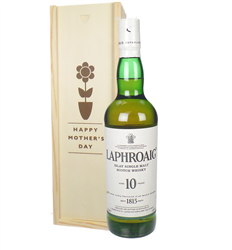 It's pungent, earthy aroma of blue peat smoke, sweet nuttiness of barley and delicate heathery perfume of Islay's streams reveal themselves with every sip. 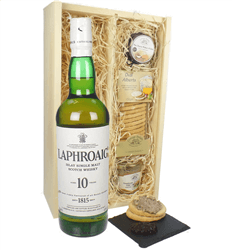 Our range of Laphroaig whisky gifts includes a bottle of this fine single malt on its own or with chocolates or gourmet food. 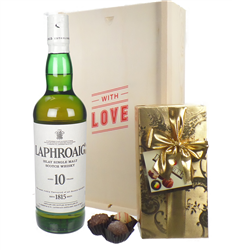 Whichever gift you choose we will deliver it on the date of your choice, beautifully presented in a range of gift boxes with your personal message.